If you’re suffering from alopecia (hair loss) in any form, it’s easy to feel like you have no control over the situation. It can also be a highly emotional experience. But you follow your doctor’s advice and take on all of the recommended products with high hopes that they will work for you. But wouldn’t it be nice if you could do a little experimenting of your own? With products that have no harmful side effects? Thankfully, there are botanical products that promote healthy hair growth that have been used medicinally for centuries. 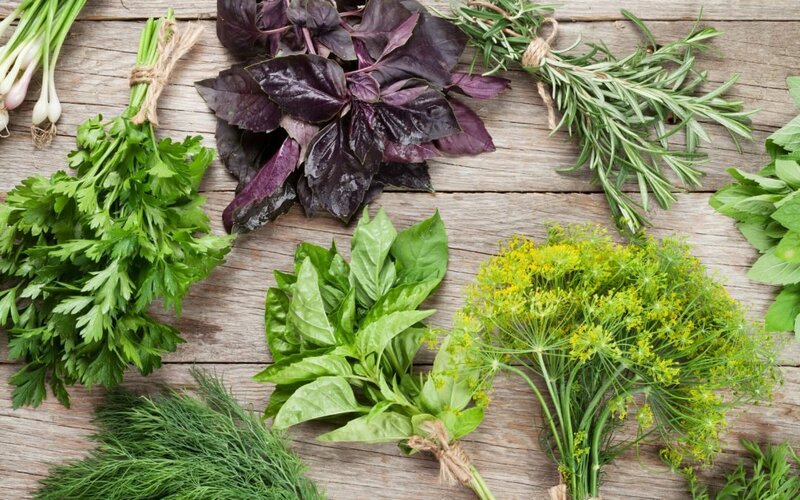 Herbs and roots that you can literally pick from your own garden. Some of these plants have even shown great potential for hair re-growth in clinical trials. 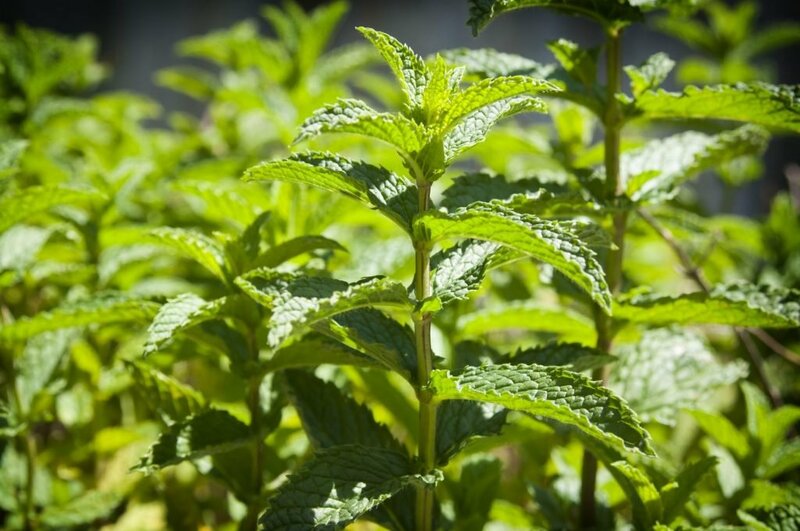 Peppermint leaf extract (mentha piperita) is known for its high menthol content. Menthol has been used for hundreds of years to sooth and cool dry, itchy irritated skin. It also keeps dandruff at bay. A dry, irritated scalp initiates scratching, and scratching of the scalp causes further hair loss. Peppermint oil is also a natural stimulant that creates a tingling, invigorating sensation that can help boost blood circulation and may also help to stimulate hair follicles. It contains vitamins A and C and is full of anti-bacterial properties so applying peppermint oil to the hair and scalp can prevent yeast colonies and other bacteria from growing. It also balances pH levels which encourages a moisturized, healthy scalp environment. Note: Always dilute essential oils like peppermint, with a neutral carrier oil—it is highly potent and may actually cause irritation at 100% strength. Not only does rosemary (rosmarinus officinalis) smell delicious, it is also high in antioxidants, and a good source of iron, calcium and vitamin B6. Vitamin B6 supports healthy collagen levels. Rosemary also helps stimulate cell renewal, promoting healthy healing. 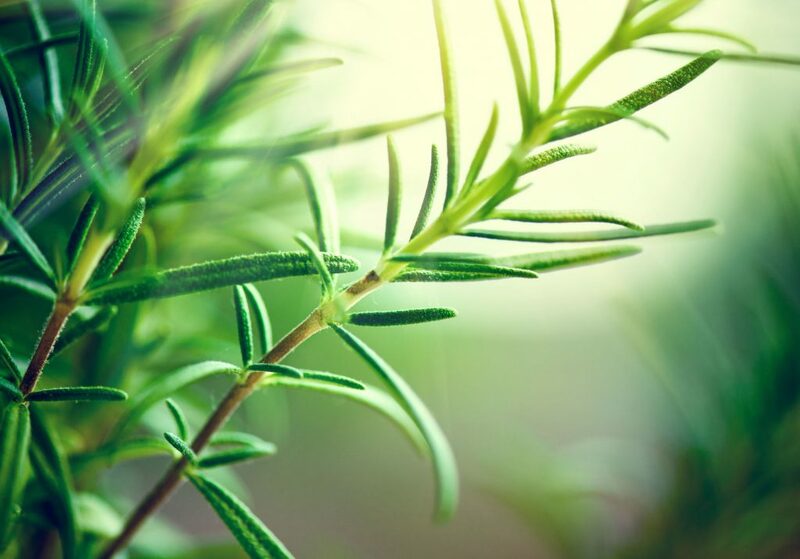 A study in 2015 investigated the clinical efficacy of rosemary oil in the treatment of alopecia by comparing its effects with popular hair loss drug minoxidil 2%. After 6 months, both the minoxidil and the rosemary group had experienced the same significant increase in hair count. 2 Scalp itching, however, was more frequent in the minoxidil group. Showing that for hair loss rosemary oil may prove to be the natural herbal answer to the potentially dangerous drug minoxidil, and with less side effects. 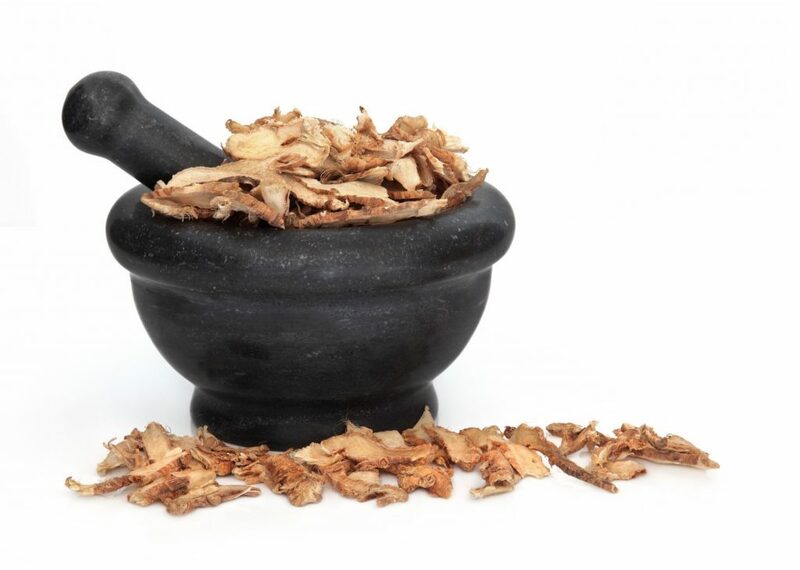 The licorice root (Glycyrrhiza Glabra) has been dated back to ancient China for its natural medicinal properties. It has shown immunostimulatory, anti-inflammatory and antimicrobial properties. Its high level of antioxidants regulate oil production, reducing clogged pores. Clogged pores on the scalp create a nasty environment for healthy hair growth. Licorice root can also help reduce scalp redness and irritation that might be adding to hair loss. Most importantly though, licorice root is a plant-derived anti-androgen. 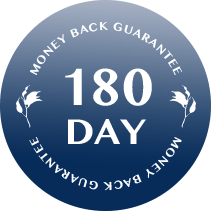 This means it naturally reduces testosterone.3 Male and female pattern baldness has been linked to dihydrotestosterone (DHT) which is made from testosterone. It is thought that the sensitivity of hair follicles to DHT is what causes hair loss. Aloe vera gel is an excellent natural moisturizer and skin conditioner. It contains so many skin benefits and has been used for centuries for both beauty and medicine. Aloe Vera naturally stimulates fibroblast growth (collagen producing cells), and strengthens the skin dermis. It is also rich in phenol compounds. 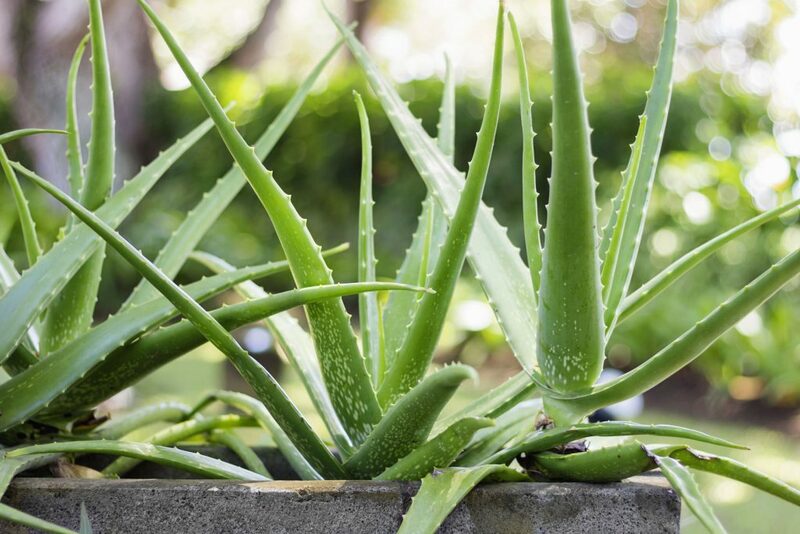 In a 2013 study, the use of 88% phenol was used for the treatment of alopecia areata (the autoimmune hair loss condition) and resulted in no further hair loss in the follow-up period.4 Aloe vera gel is also thought to help prevent hair loss because of its soothing, moisturizing effects on the scalp which provide an ideal, healthy environment for good hair health. A healthy scalp makes it far more possible for healthy hair to grow. Anything that can calm, moisturize and rid the scalp of bacteria and inflammation is your weapon. Even autoimmune disorders and genetic hair loss are linked to inflamed hair follicles so keeping the scalp and follicles calm and neutralized is key. Good hair care may may seem ironic when you’re suffering from significant hair loss but it is such an important component in the treatment of alopecia conditions. 1 Kwon O, Han J, Yoo H et al. 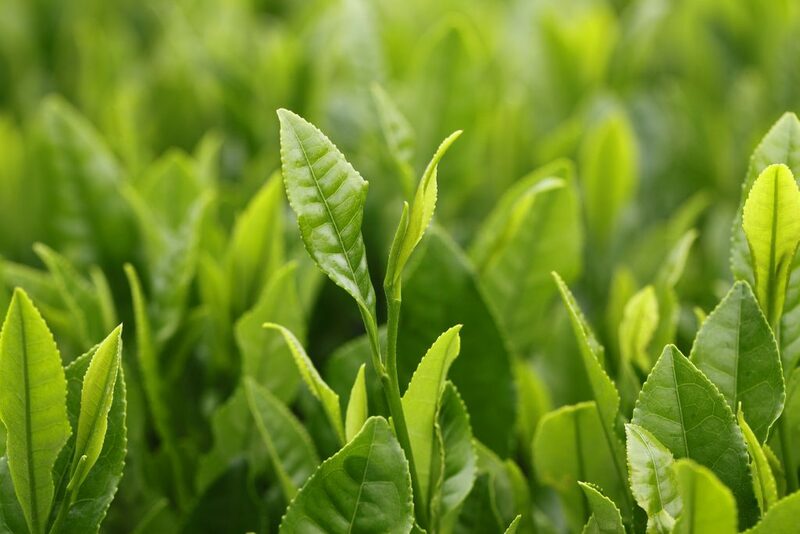 Human hair growth enhancement in vitro by green tea epigallocatechin-3-gallate (EGCG). Phytomedicine. 2007;14(7-8):551-555. doi:10.1016/j.phymed.2006.09.009. 2 Panahi Y e. Rosemary oil vs minoxidil 2% for the treatment of androgenetic alopecia: a randomized comparative trial. – PubMed – NCBI. Ncbinlmnihgov. 2015. Accessed June 16, 2017. 3 Grant P, Ramasamy S. An Update on Plant Derived Anti-Androgens. International Journal of Endocrinology and Metabolism. 2012;10(2):497-502. doi:10.5812/ijem.3644. 4 Kar S, Singh N. Alopecia areata treated with phenolisation and intravenous dexamethasone pulses. International Journal of Trichology. 2013;5(1):47. doi:10.4103/0974-7753.114708.